We have recently returned from a fantastic holiday at Adult Luxury Punta Cana. It was one of the best holidays we have had in our 50 years of travel .The cleanliness of the Hotel and its grounds was first class - at no time during our stay did we see any litter or rubbish, everywhere was spotless. The beach was cleaned throughout the day with no visible signs of litter or rubbish so much so there were approx 10 beach attendants on duty each day and one of their duties was to pick up. cigarette butts from the sand. The Buffet restaurant was superb with a vast selection of food for breakfast,lunch and dinner.Every member of its staff were always smiling.happy and friendly - nothing was too much trouble which makes your holiday enjoyable.All the other restaurants were spotlessly clean with an extensive range of meals all of which were freshly cooked and hot. Again the staff were so friendly and helpful. Every night there was wonderful entertainment for some 2/3 hours which we thoroughly enjoyed whilst supping gin and tonics. To sum up a fantastic hotel and amenities which we thoroughly recommend -absolute value for money/ We intend very much to make a return visit later this year. 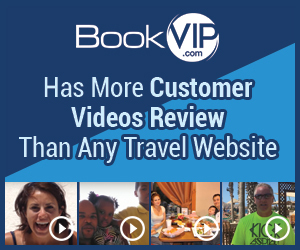 Product or Service Mentioned: Bookvip Secrets Royal Beach Vacation Package. Review #834419 is a subjective opinion of testimonial.